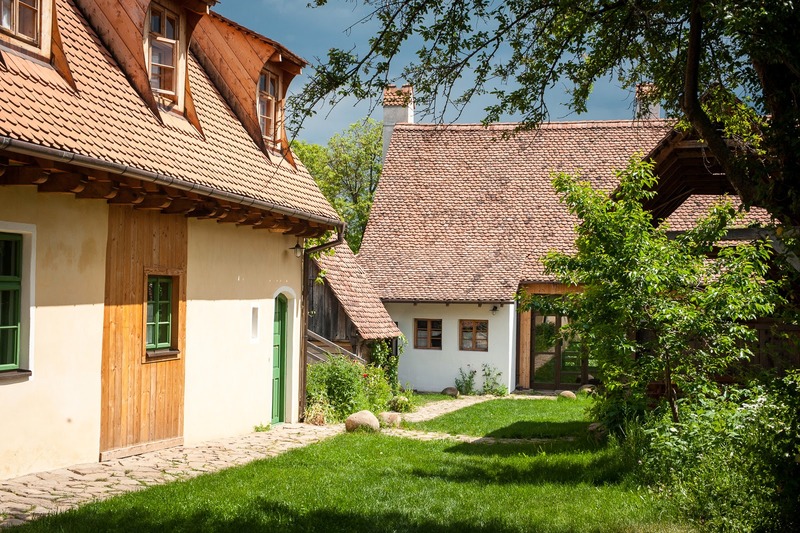 We enjoyed our rural stay in Miklósvár so much that we decided to have another rural stay one-hour away in the Saxon village of Viscri. 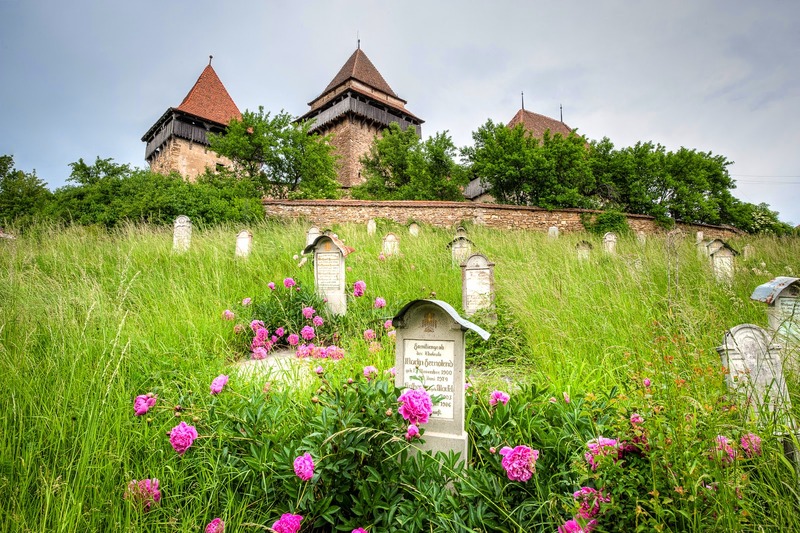 In the late 12th-century a Hungarian king invited the Saxons to settle in Transylvania with the condition that the Saxon population help protect the borders from invaders. 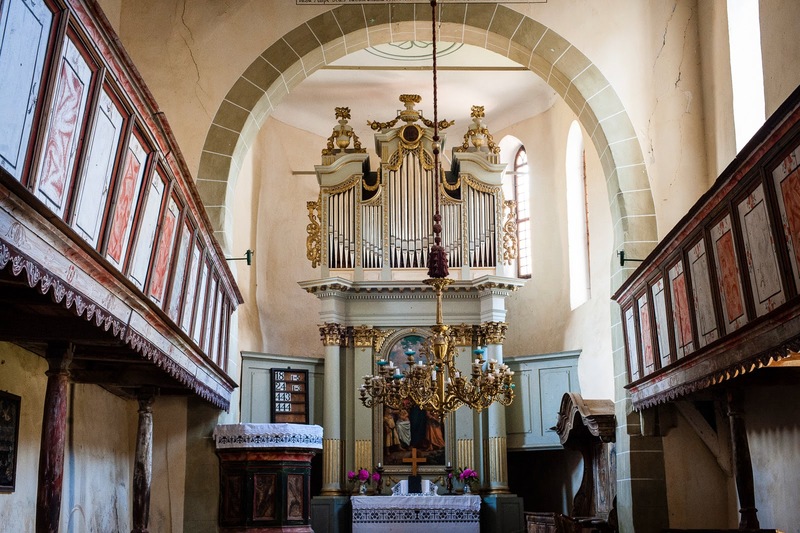 The church, which became a Saxon church in late 12th century, was rebuilt and modified in the 14th through 16th centuries. It began as a Catholic Church, but after the Reformation changed to Luthern. Because the church is so well preserved, it is now a UNESCO Heritage site. The church walls are surrounded by the graves of the once large Saxon population. After the 1989 revolution, perhaps fearing the lawlessness that prevailed, most of the Saxon population migrated to Germany. 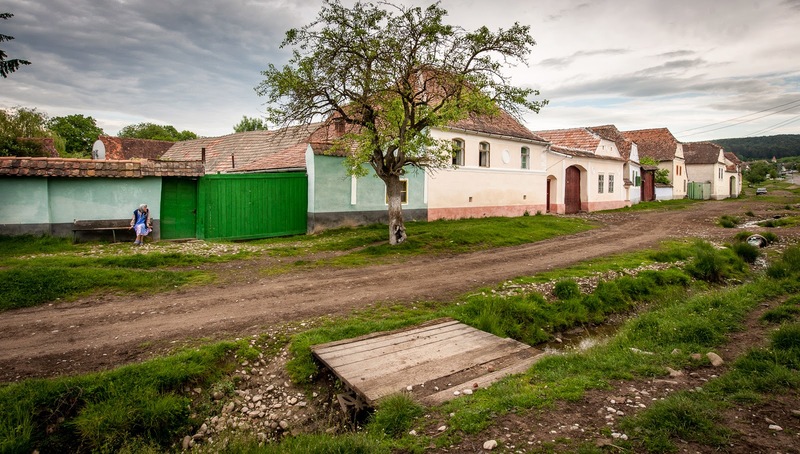 In Romania they were known as Germans; in Germany they are known as Romanians. Today, only 12 Saxons live in Viscri. The rest of the population is Romanian and Roma. 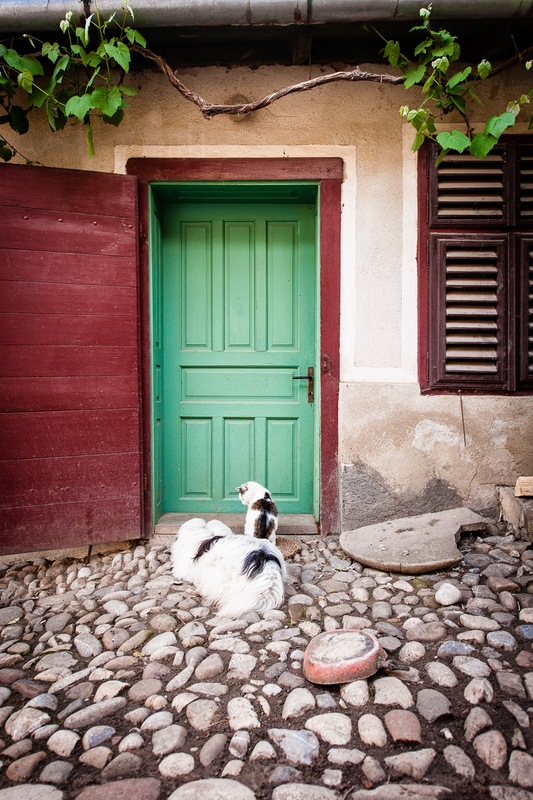 The Saxon houses in Viscri are quite well preserved. 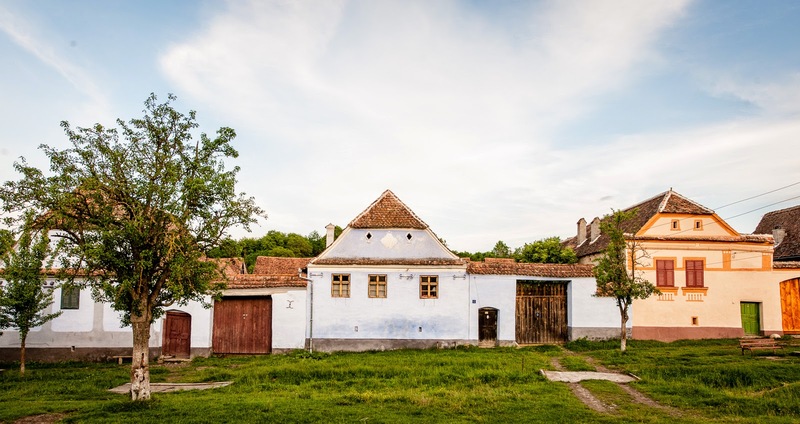 We stayed at Viscri 125 (http://www.viscri125.ro/), a Saxon house that behind its gates, has been converted to a hotel and restaurant. 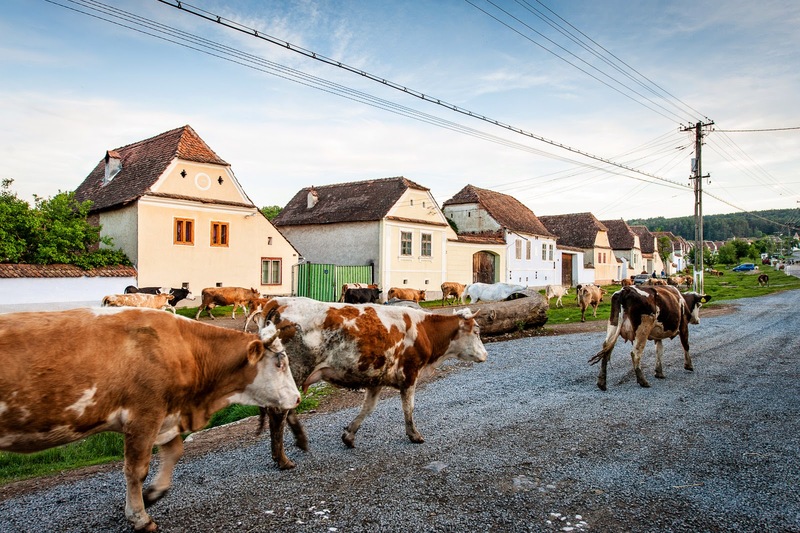 Before Viscri 125 was beautifully renovated, it was vacant for many years, and the townspeople had kept animals in the house and barn without ever shoveling out the manure. 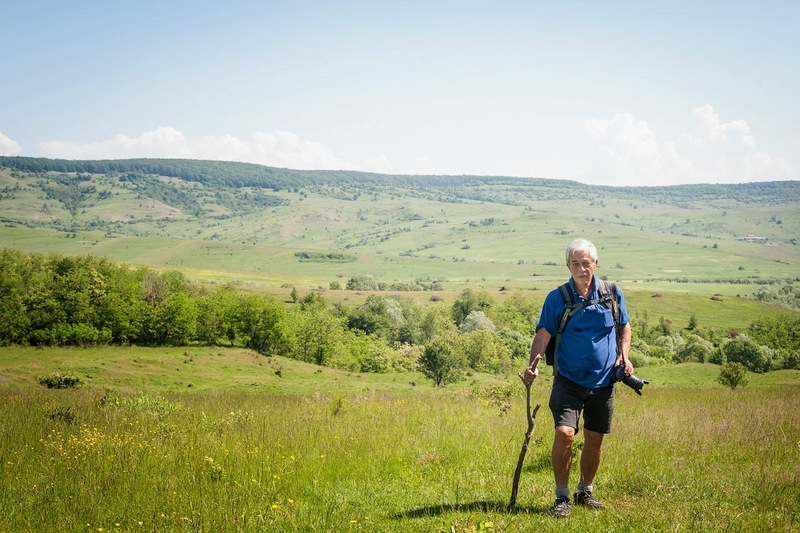 One day we went for a four-hour hike in the hills and pastures surrounding Viscri. Near the end of the hike, we met the tile maker. His name is Gheorghi. He told us he is Hungarian. 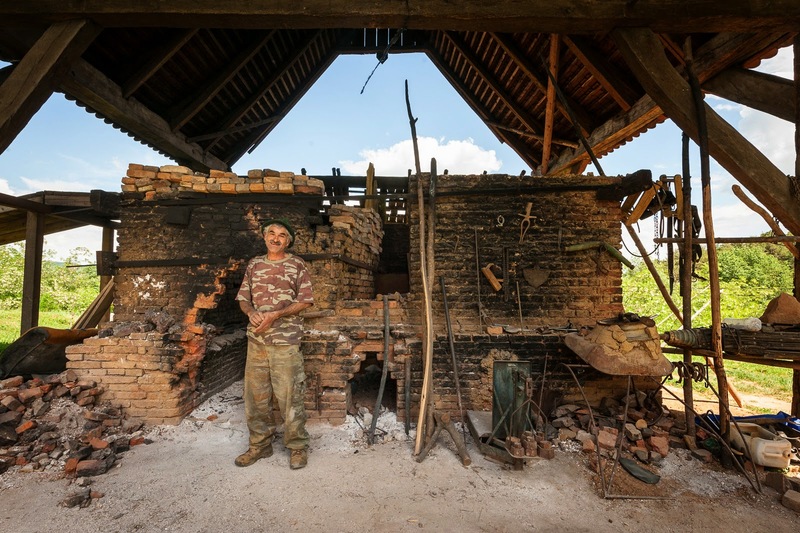 He makes terra cotta roofing tiles, lime for paint, and is also a blacksmith. 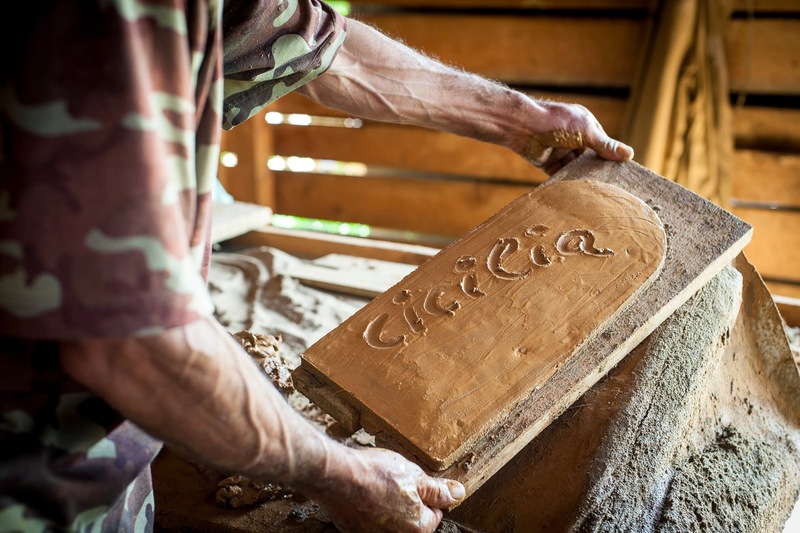 He transports nearby clay to his workshop and then mixes it into the correct consistency for roofing tiles. He makes one fish-scale tile at a time with a metal form. Each tile is set on a wooden board that is then slid into a drying rack. The drying rack will hold 5,000 tiles. When the weather is a good temperature, it takes about 36 days for the tiles to be dry enough to go into his kiln. Once in the kiln, they are wood fired for one day. Subsequently, he fires one side of the kiln and then the other over a 10-day period. His tiles are on most of the newly refurbished roofs of Viscri. 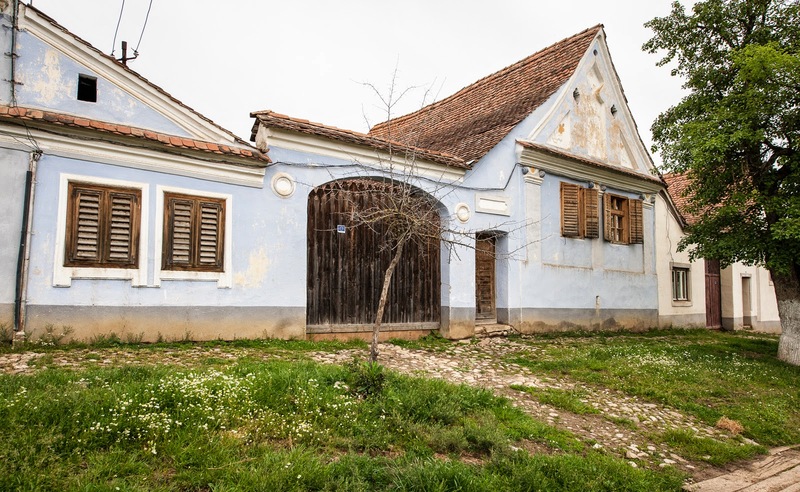 The Mihai Emenescu Trust (funded by the Prince of Wales), paid for his fabrication shed and has supported most of the renovation and preservation of Viscri. On our last night in Viscri, an interesting Tractor/camper combination showed up. 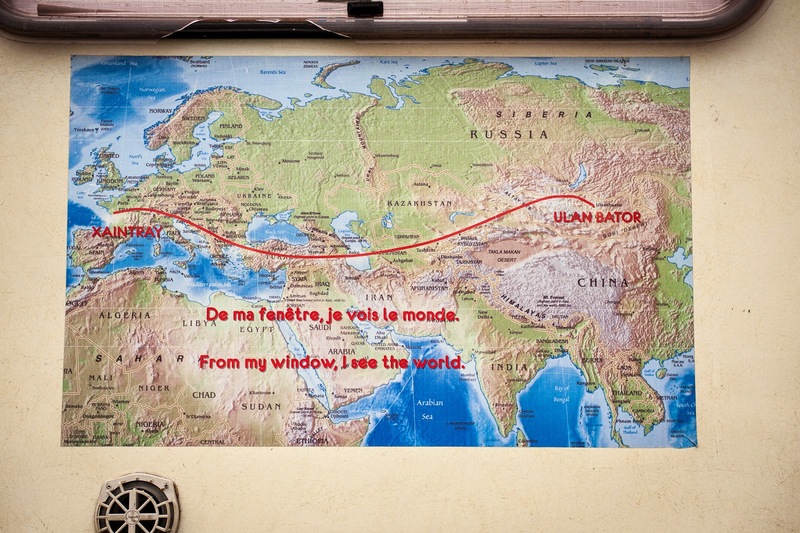 The owner is French and he is on a 3-year journey from France to Mongolia. He parks the tractor/camper during the winter months and flies back to France. When spring weather returns, he flies back to where he left his RV. The tractor/camper can travel as fast as 20 kilometers/hour (12.5 miles/hour). 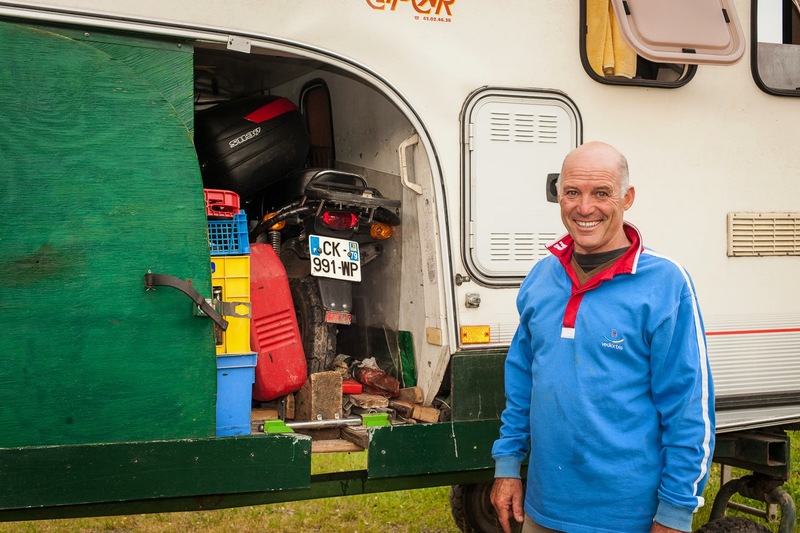 He has 1000 liters of water and 1000 liters of petrol stored in the space between the camper and the tractor. That is also where he keeps his small motorcycle. Because the tractor noise is loud, he wears ear-protector headphones while he drives. 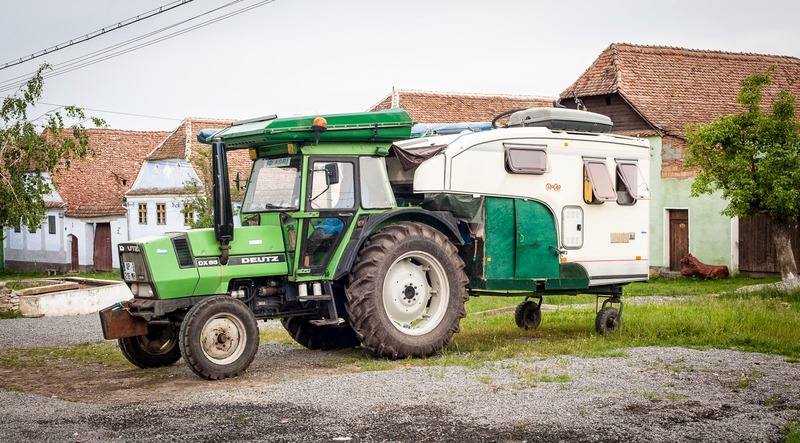 He can sleep inside the camper or he also has a folding two-person tent on top the roof of the tractor. We went to dinner at Viscri 22 a restaurant in another Saxon house. 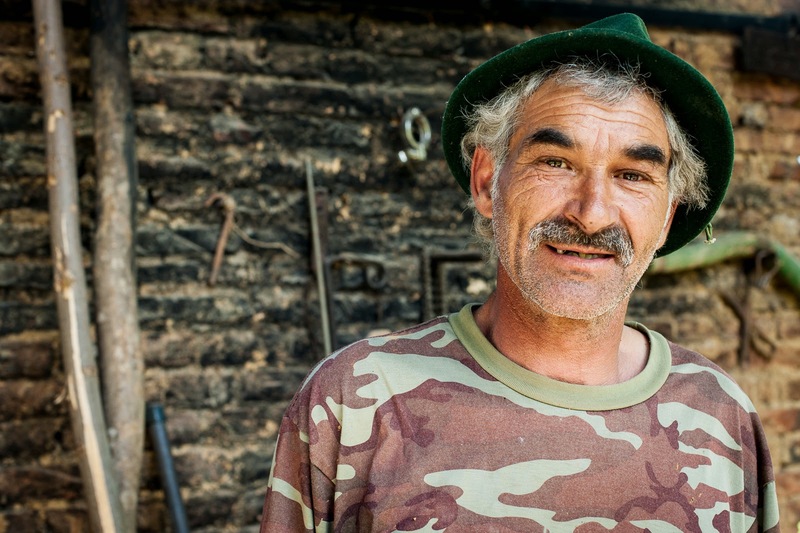 Gherda, the chef and owner, is a founder of the slow-food movement in Romania (http://www.discovertarnavamare.org/eating/courtyard-dining/at-gerdas-viscri-22/). While we ate our delicious dinner (duck broth soup with polenta dumplings, salad, and slow roasted turkey pieces) we watched the animals come home for the evening. The dog and cat waited at the front door, turkeys, chickens, geese and their goslings came home and were let into the back yard. Unfortunately, some of the goslings are not too smart and went to the wrong side of the gate. 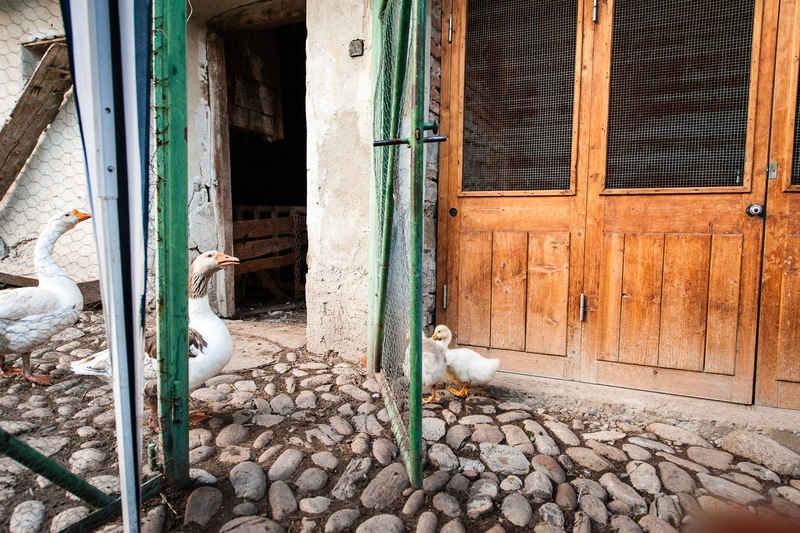 It took several minutes and human intervention to convince the hysterical goslings to go through the open part of the gate. Finally, the cows, horses, and goats returned to their homes after their day in the fields.